Sleepify is an album by the funk band Vulfpeck. The release does not contain any audible music, and consisted solely of ten, roughly 30-second-long tracks of silence; the album was made available on the music streaming service Spotify, where the band encouraged consumers to play the album on a loop while they slept. In turn, royalties from the playing of each track on the "album" were to be used to crowdfund a free concert tour by the band. The album was pulled by Spotify on April 26, 2014, citing violations of the service's content policies. It was estimated that the band would be able to collect at least US$20,000 in royalty payments from streams of Sleepify, although it was unclear if the band would receive the money. In July 2014, Billboard reported that the band received royalties totalling $19,655 plus an anticipated $1,100 forthcoming, and that the band was in the process of organizing a tour. In August, Vulfpeck announced the admission-free Sleepify Tour in the United States scheduled for September 2014. The album exposed a loophole in Spotify's royalty calculation model. In March 2015, band founder Jack Stratton proposed a more equitable model for Spotify payout distribution in which each artist's payout is based solely on that artist's listeners, rather than every listener using the service. Vulfpeck released Sleepify in March 2014 as a means to fund a concert tour of the same name; all of the shows were to be free of charge, but funded solely using royalty payments from the album on the music streaming service Spotify. The service calculates royalties based on how many times a track has been played, counting a single play as listening to the song for at least 30 seconds. As such, all of the tracks on Sleepify are just over thirty seconds in length, and consist solely of silence; a promotional video for the album jokingly labeled it as "the most silent album ever recorded". The band encouraged fans to stream the album on a loop overnight while they were sleeping (hence the name); with each stream costing US$0.007, The Guardian estimated that streaming the album for seven hours would accumulate $5.88 in royalty payments over 840 streams, and 100 people doing the same with one device each would accumulate $588 in payments. The band's founder, Jack Stratton, explained that the stunt was influenced by an interview with Ron Fair he had heard on the Pensado's Place podcast, where Fair discussed how the cover of "Lady Marmalade" he produced for the film Moulin Rouge! was only available on the film's soundtrack album, meaning that consumers would have to pay for the entire album to get just the one song. Stratton went on to say that "With the technology available, that dictates the packaging of the music—whether it's a three-minute 7-inch or a 40-minute 12-inch or an eight-minute 12-inch single or a 70-minute CD. And now it's Spotify. This is just taking it to the max of short song length and extremely high volumes of play." Listing adapted from Spotify track listing. Tim Jonze of The Guardian facetiously reviewed Sleepify, stating that the "opening track 'Z' certainly sets the tone, a subtle, intriguing work that teases the listener as to what may come next. 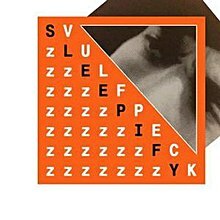 It's followed by 'Zz' and 'Zzz' which continue along similar lyrical themes while staying true to Sleepify's overriding minimalist aesthetic. By the midpoint, you realise Vulfpeck are aiming to pull off the same trick as the Ramones: they may only have one song, but it's an effective one." While a Spotify spokesperson had previously considered the stunt to be "clever" (joking that the album was "derivative of John Cage's work," a reference to the silent piece 4′33″), Sleepify was pulled from the service in late-April 2014, citing an unspecified violation of the service's content policies. It was estimated that Vulfpeck had accumulated enough streams to gain at least $20,000 in royalties from the "album", although it was unclear whether they would receive the money. Jack Stratton confirmed the removal with a spoken statement contained within the first track of another, three-song "album" named Official Statement, posted in place of Sleepify on Spotify. The album's royalty generating scheme received worldwide press coverage, including Spiegel of Germany, Editora Abril of Brazil, The New Zealand Herald, El País of Spain, Komsomolskaya Pravda of Russia, and Time magazine of the U.S. Rolling Stone noted that Spotify still streams the Cage composition 4′33″—a performance piece in which musicians refrain from playing their instruments. A similar concept emerged in June 2015 via a website known as Eternify, by the band Ohm & Sport, which allowed users to play the first 30 seconds of any Spotify song on a loop, thus accumulating royalty payments for the artist. On July 22, 2014, Billboard reported that Vulfpeck received royalty payments totaling $19,655 with an additional $1,100 forthcoming. The payment calculation was based on a rate of $0.0030 to $0.0038 per play for short tracks and a total of about 5.5 million plays. Although Spotify did allow the album to remain on its service for seven weeks and called it a "clever stunt", the service removed the album in late April without providing a specific reason for violation of its terms of service. Vulfpeck founder, Stratton, said he was surprised by the timing of the take down, given that the album could have been taken down much earlier. In August 2014, Vulfpeck announced the admission-free Sleepify Tour scheduled for September 15 to 26, 2014. Tour locations included San Francisco, San Luis Obispo, Los Angeles, Chicago, Ann Arbor, and New York City. In a 2018 interview with CNBC, Stratton criticized Spotify's monthly subscription model. He said it's analogous to a grocery store subscription, one which allows unlimited consumption for a fixed monthly fee. He said Spotify's model is more like radio than an on-demand model. On a positive note, he was supportive of streaming services for providing a platform for artist visibility. ^ "How Vulfpeck Album 'Sleepify' Used Spotify Loophole to Earn $20,000". classicalite.com. October 1, 2015. Archived from the original on October 5, 2015. Retrieved August 5, 2016. ^ "Why Does Spotify Pay So Little? [An Analysis]". hypebot.com. March 23, 2015. Archived from the original on April 3, 2015. Retrieved August 5, 2016. ^ Rauly Ramirez; Alex Pham (March 17, 2014). "Inside Vulfpeck's Brilliant Spotify Stunt". Billboard. Archived from the original on December 5, 2015. Retrieved May 9, 2014. ^ a b c d Tim Jonze (March 19, 2014). "How to make money from Spotify by streaming silence". The Guardian. Archived from the original on December 22, 2015. Retrieved May 9, 2014. ^ a b Steve Knopper (March 21, 2014). "'Silent Spotify Album' Creator Talks Strategy Behind Unique Plan". Rolling Stone. Archived from the original on December 23, 2015. Retrieved May 9, 2014. ^ Harley Brown (April 26, 2014). "Spotify Removes Vulfpeck's 'Sleepify'". Billboard. Archived from the original on November 27, 2015. Retrieved May 9, 2014. ^ Dan Wilkinson (April 30, 2014). "A band that tried to make money from Spotify have been banned from Spotify". Noisey. Vice. Archived from the original on December 22, 2015. Retrieved May 9, 2014. ^ Chris Welch (May 7, 2014). "Spotify removes silent album that earned indie band $20,000". The Verge. Archived from the original on December 22, 2015. Retrieved May 9, 2014. ^ a b Kory Grow (April 25, 2014). "Spotify Pulls Silent Publicity Stunt Album". Rolling Stone. Archived from the original on December 23, 2015. Retrieved May 9, 2014. "Geld verdienen mit Stille: 'Sleepify'-Album nicht mehr auf Spotify". Spiegel Online. May 8, 2014. Archived from the original on December 22, 2015. Retrieved May 10, 2014. Victor Caputo (May 8, 2014). "Banda ganha US$20 mil no Spotify com disco silencioso". Editora Abril. Archived from the original on April 11, 2015. Retrieved May 10, 2014. "Band makes $20,000 on Spotify without recording a sound". The New Zealand Herald. May 9, 2014. Archived from the original on May 10, 2014. Retrieved May 10, 2014. "Un disco sin música recauda 20.000 dólares". El Pais. May 8, 2014. Archived from the original on December 22, 2015. Retrieved May 10, 2014. Denis Semibratov (May 1, 2014). "Музыкальный сервис «Spotify» попросил группу Vulfpeck удалить «бесшумный» альбом (English trans., Music service 'Spotify' asked group Vulfpeck to remove 'quiet' album)". Komsomolskaya Pravda. Archived from the original on June 7, 2014. Retrieved May 10, 2014. Jared Newman (May 7, 2014). "Silent Album Games Spotify to the Tune of $20,000". Time. Archived from the original on January 4, 2016. Retrieved May 10, 2014. ^ "Eternify's 30-second loops trick Spotify into paying your favorite band". The Verge. Archived from the original on October 12, 2015. Retrieved June 27, 2015. ^ a b Paul Bonanos (July 22, 2014). "Vulfpeck's Half-Joke 'Silent Album' Made Some Serious Cash". Billboard. Archived from the original on June 26, 2015. Retrieved July 23, 2014. ^ Paul Bonanos (May 6, 2014). "Spotify Silences Vulfpeck's Silent 'Sleepify' Album". Billboard. Archived from the original on September 27, 2015. Retrieved July 23, 2014. ^ "Facebook: Vulfpeck – August 8, 2014". facebook.com. August 8, 2014. Retrieved January 9, 2016. ^ "Vulfpeck website". vulfpeck.com. Archived from the original on September 26, 2014. Retrieved September 6, 2014. ^ "How funk band Vulfpeck took on Spotify – video". CNBC. April 2, 2018. Archived from the original on April 22, 2018. Retrieved April 22, 2018. This page was last edited on 28 October 2018, at 00:16 (UTC).